The objective of this chapter is to discuss the integration of advancements made in the field of artificial intelligence into the existing business intelligence tools. 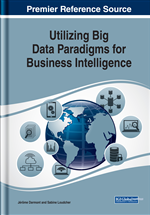 Specifically, it discusses how the business intelligence tool can integrate time series analysis, supervised and unsupervised machine learning techniques and natural language processing in it and unlock deeper insights, make predictions, and execute strategic business action from within the tool itself. This chapter also provides a high-level overview of current state of the art AI techniques and provides examples in the realm of business intelligence. The eventual goal of this chapter is to leave readers thinking about what the future of business intelligence would look like and how enterprise can benefit by integrating AI in it. The purpose of this chapter is to provide an overview into how recent advances in Artificial Intelligence (AI) can be applied to Business Intelligence (BI) systems thereby making the latter truly intelligent. This chapter is divided into five main sections: (1) the first section defines BI and AI, discusses their pros & cons, and how they are used in industry today, (2) the second section provides a high-level introduction of the fundamental concepts in AI. Readers who are well versed with the basics of AI can skip this section. (3) the third section discuss the technical considerations of integrating AI systems into existing BI systems, (4) next section discusses open issues and challenges related to learning, storage, processing and organizational structure of big data, and (5) the last section discusses the applications of AI combined with BI, some current examples from industry and direction of future research.